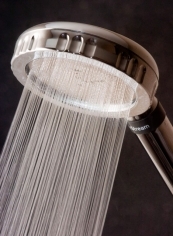 Purastream® fixed shower head filter. 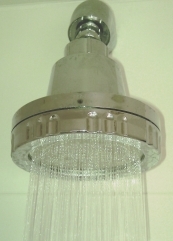 DOES YOUR SHOWER DO YOU MORE HARM THAN GOOD? • Filters up to 98% of the chlorine in your water supply. • May help with skin complaints such as eczema. • May help with respiratory problems such as asthma. • May improve the condition of your hair. • Generates negative ions which may result in a feeling of wellbeing. 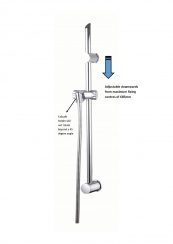 • Helps the environment by saving water and reducing heating bills.